Macrium Software was founded in 2006 when CEO and Founder Nick Sills had a personal data disaster. In the process of trying to recover his data, he found that many of the existing backup tools weren't as good as he expected. With this knowledge in hand, he set out to create a software backup solution that was easy to use, yet as effective as more complex solutions. Over a decade later, Macrium has been downloaded over 4 million times and is trusted by organizations all around the globe including Ford and Disney. 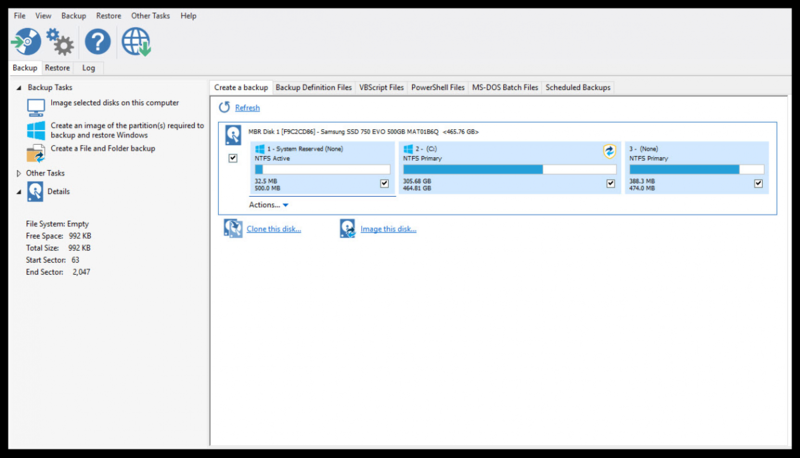 Using Macrium Reflect, you can backup whole partitions or individual files and folders into a single compressed archive file. You can use these archived files to restore exact images of the partitions. Designed for endpoint backup of business-critical PCs and workstations, Macrium Reflect 7 Workstation helps you rest easy knowing that your important documents and data are backed up. With an intuitive to use interface and a variety of custom options, tailor your backups to your organization's specific requirements and needs with ease. Macrium Site Manager is Macrium's central management console for endpoint backup of your site. Site Manager allows IT Administrators to discover and group PCs and Servers on the network, define who and what is backed up, assign schedules, set retention policies, and manage backup repositories. The architecture leverages commonly used Microsoft Windows technologies and requires no specialist skills to install and configure. 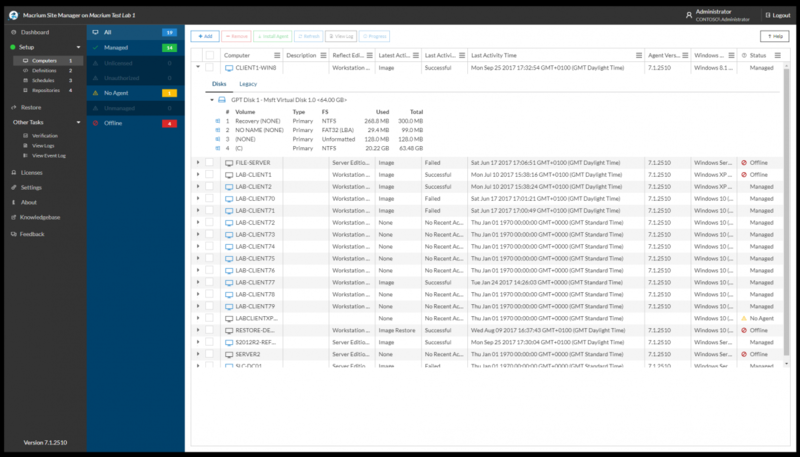 All of this paired with comprehensive event management, alerts, and security logging makes it easier than ever to manage your backups. Site Manager is accessible through a browser-based user interface. Macrium Reflect Deployment Kit allows up to 5 technicians to create "Master" images and deploy them to an unlimited number of workstations and servers. This is ideal for internal IT departments and commercial IT specialists to set up PCs without having to purchase a separate license for each workstation or server. The deployment kit also comes with Portable Application Support, allowing the creation of up to 5 USB sticks with rescue environments that can image your target workstations online and offline. Macrium Reflect 7 Technicians Kit enables imaging and recovery of up to 10 servers and unlimited workstations, providing the software is not installed on more than one computer at a time. This is ideal for IT Techs or service companies who maintain a large number of PCs. This software also includes Portable Application Support, allowing you to create a USB stick that can image your target PCs both online and offline. Enjoy all of the great features of Macrium Reflect 7's businesses products, but tailored for your home computer. Backup your documents, data, and OS using disk imaging technology to a single compressed archive file with just a few clicks. Also enjoy 12 months of support, so you can rest easy knowing that if you have any difficulties, Macrium'saward-winningg technical staff is there to answer any questions.